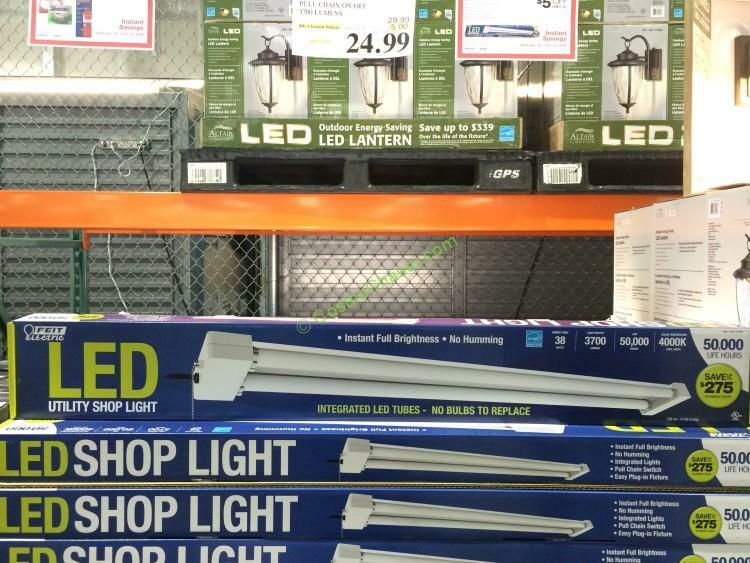 Costco cuts $5 off on 4 ft. Long LED Shop Light with Pull Chain On/Off 3700 Lumens, dropping the price to $24.99. You can find this item online at Costco.com as well, it comes with 2-pack and sells for $49.99 after $10 discount, valid thru 02/21/16. Product Description: This 4ft. LED Shop Light with pull chain requires no lamps to replace and lasts up to 50,000 hours. Perfect for hanging or flush mount installation. It is ideal for use in garages, basements, game rooms, utility rooms, work shops, cabinets and closet attics. It has ultra light weight design, easy plug-in fixture and Mercury free.